A lovely and haunting song perfect for this rainy afternoon, taken from the Castanets’ 2004 album ‘Cathedral’. I love this entire record, with its creepy and strange melodies, and the almost desperate delivery. Great stuff. But sort of thinking of picking things back up again. Looking back at this format though, I’m not entirely sure where/what to do with it. Pics from a recent trip to Milan in northern Italy (also Genoa, coming in the next post). Like many Americans visiting Italy, I’ve often simply passed through Milan — oftentimes missing the city entirely. And I’ll admit that most of the time I didn’t care, what with destinations like Piedmont, Tuscany, Alto Adige or Friuli on the horizon. This time, however, thanks to a long working assignment for a friend, I decided to pay the city a proper visit. 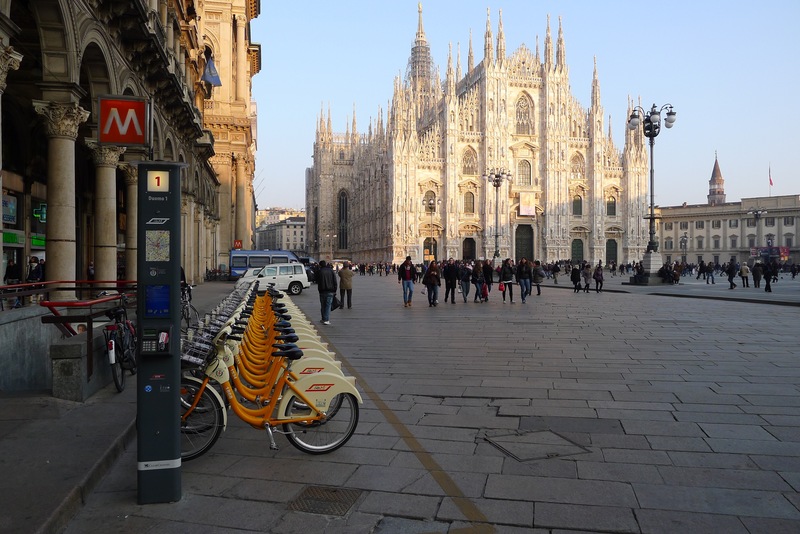 Milano has a citywide bicycle rental program where members pick up and park bikes at stations like the one pictured above. And they’re not shy to set up the stations near main points of public interest, in this case, Piazza Duomo. Do Consumers Even Like Barolo? Above: Which way Barolo? A signpost at an overlook in La Morra showing the distance to neighboring communes. So, do consumers even like Barolo? It’s a sad question to ask if you’re a nebbiolo obsessive, but I think there’s some truth to it. Outside of the wine trade, it seems like most people just don’t respond to nebbiolo the way they do to, say, pinot noir or even sangiovese. Whether that’s a good thing or bad thing for nebbiolo is an open question; but it most certainly has implications for producers in Barolo and Barbaresco. I recently wrote an article about the current state of Barolo for the San Francisco Chronicle (you can read it here). And while it seems that producers in the region are moving beyond the (frankly tired) debate of traditional vs. modern when it comes to the identity of Barolo, there’s arguably an even bigger step necessary for the nebbiolo heartland: connecting with the people who actually enjoy their wines. By enjoy, I don’t necessarily mean covet or collect, but rather the appreciation of Barolo (or Barbaresco) for what it is instead of as some sort of trophy. Sadly, the wines won’t ever be cheap but neither should the pricing continue to rise to levels where (most) wines are unattainable. It’s unlikely that Barolo will ever develop an international high-end market (complete with knock-offs) equivalent to what Bordeaux has going on, and aside from a few rare bottles, Barolo winemakers aren’t anywhere close to the status enjoyed by their counterparts in Burgundy — a frequent comparison. Happily, two recent trends suggest that there’s bright news for nebbiolo-lovers. First up, the current vintage in the market, 2006, seems to favor producers with a classical bent meaning that what’s in the bottle is an honest representation of the region’s terroir. And perhaps even better news: after years of lavishing their attention on riserva-level bottlings or numerous single-vineyard ‘cru’ wines, winemakers in the region are turning a serious eye to their blended base wines, those labeled as Barolo, and often sourced from multiple communes. When I joined the Chronicle’s tasting panel for an overview of the 2006 vintage, we found several wines from this category in the $30- $40 range that showed the clarity and depth I love to see in nebbiolo. Good news indeed! You can read the results of that tasting here. Waiter: Bring Me the ’66 Thunderschewitz! Here at the Spume HQ, we’re passing some rather cold San Francisco nights revisiting, chronologically of course, Matt Groening’s awesome animated series, Futurama. While I was once a strong Simpsons fan — and those first few seasons of the Simpsons are brilliant — Futurama it seems has held up much better over time, both in terms of comic delivery and timeless subject matter. I’ve been perusing your fortified wine list, and I’ve selected the ’71 Hobo’s Delight, the ’57 Chateau Partay, and the ’66 Thunderschewitz. California’s Anderson Valley has always had a special place in my heart, ever since I first drove through on highway 128 during a road trip from San Diego to northern Vancouver Island in 1996. I make it back to Anderson Valley once every year or so, and each trip is inspiring. From the awesome beauty of the place and the sense of community that exists there, to the wines — among the most honest wines made in California — it’s hard not to say I *Heart* Anderson Valley. As it turns out, there’s a lot more going on in the local community these days than my short visits have allowed me to witness. Thankfully, the California Report recently posted an excellent radio segment about life in Boonville, the area’s main town. It’s a quick yet fairly thorough look at the region’s current social, economic and environmental situation, and includes a substantial amount of reporting on the local wine industry. 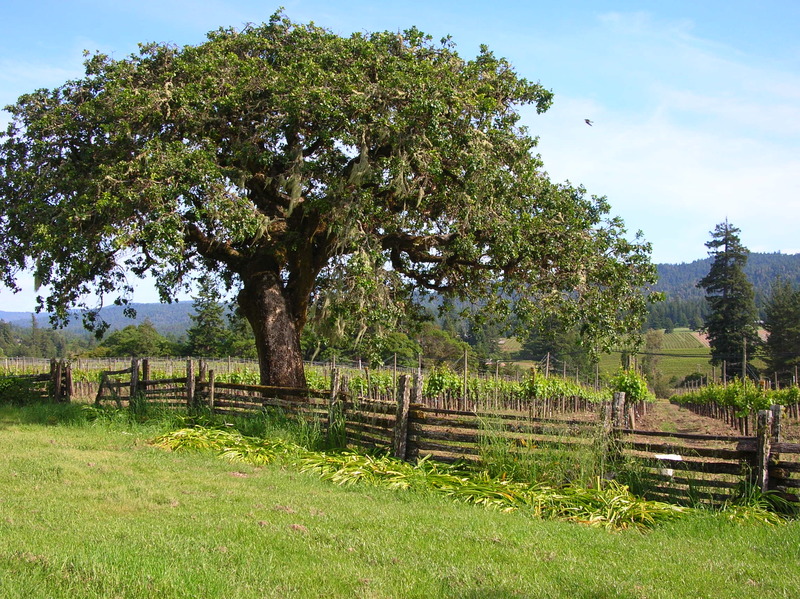 Plenty of things in the Anderson Valley broadcast caught my attention, but of note was local David Severn’s mention of regional water issues with regards to the wine industry, such as the affects of grape-growing and vineyard development on the local watershed. This is an important issue throughout California, and certainly well-reported, but I’m glad to see the it raised in this radio piece. It’s something the wine industry should be talking about as often as possible, and in a way that’s completely public and transparent. Ribolla Gialla + Cherry Chapstick = Yo La Tengo! There’s a growing number of California winemakers working at the margins of the current industry to produce truly distinctive wines, and some of these fine folks have chosen to work with ribolla gialla, a variety that hails from the northeastern corner of Italy. In fact, it became legal in United States only this year to label varietal wines as ribolla gialla.Exciting! One recent and (to me) quite successful example is the Arnot-Roberts 2009 Vare Vineyard Napa Valley Ribolla Gialla. Sourced from a tiny nook of a vineyard that industry veteran George Vare planted in the foothills of the Myacamas Mountains on the eastern side of the Napa Valley, it’s both generous in texture and energetic in expression, with a hint of almond and a fruit character that falls somewhere between a Meyer lemon and a tangerine. Though this really has nothing to do with the Arnot-Roberts Ribolla Gialla — other than I think the band would really dig — in honor of the first day of Hanukkah, here’s a recording of Yo La Tengo performing “Cherry Chapstick” during their annual Hanukkah stand at Maxwell’s in Hoboken, New Jersey. Sam Waterburry on Well this is outdated….